M.D. Roofing & Sheet Metal relies on 2-ply SBS modified torch for reroofing and repairs. 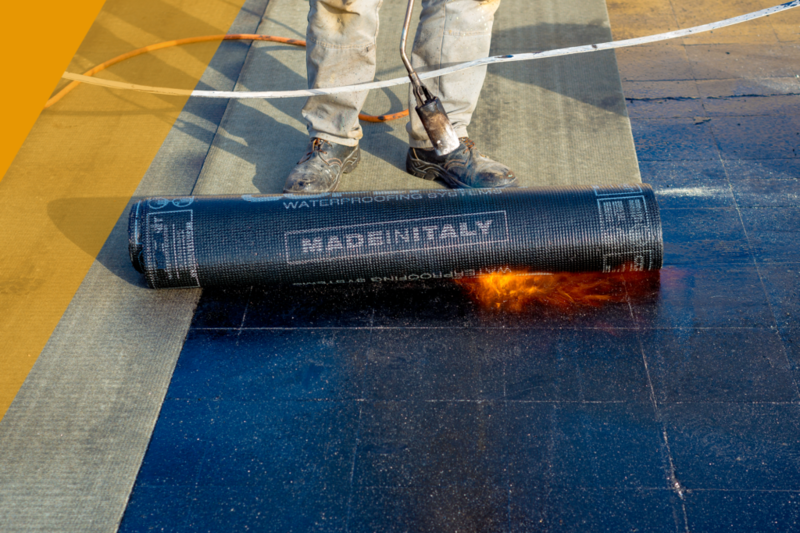 SBS or modified bitumen is a flexible rubber predominantly used on flat roofs. Recognized as the best in the roofing industry, SBS is 95% more often used by school, military, government and institutional buildings in Alberta and throughout Canada. This material is easier to maintain and improves the flexibility and fatigue resistance of the roof overall. Even during application, SBS has increased flow characteristics. schedule your roof repair or maintenance.